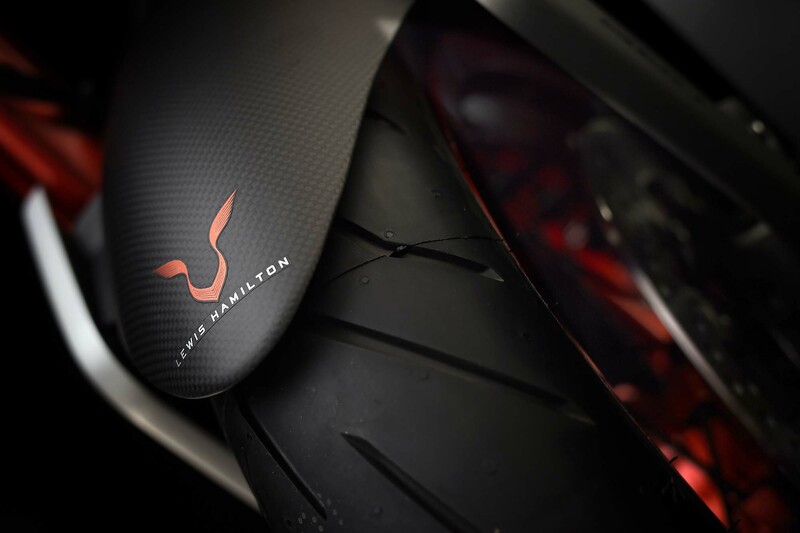 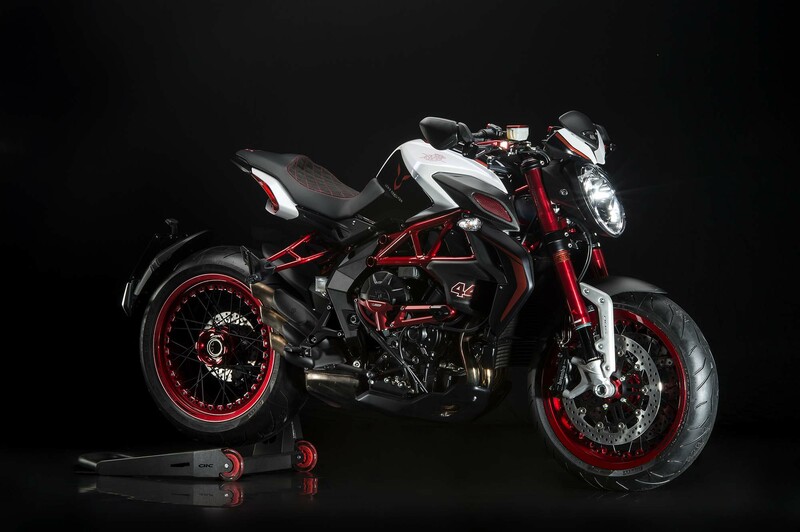 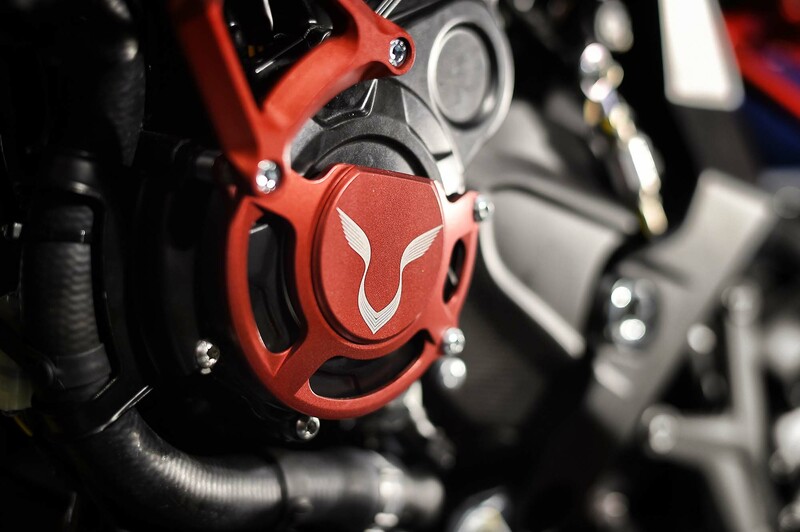 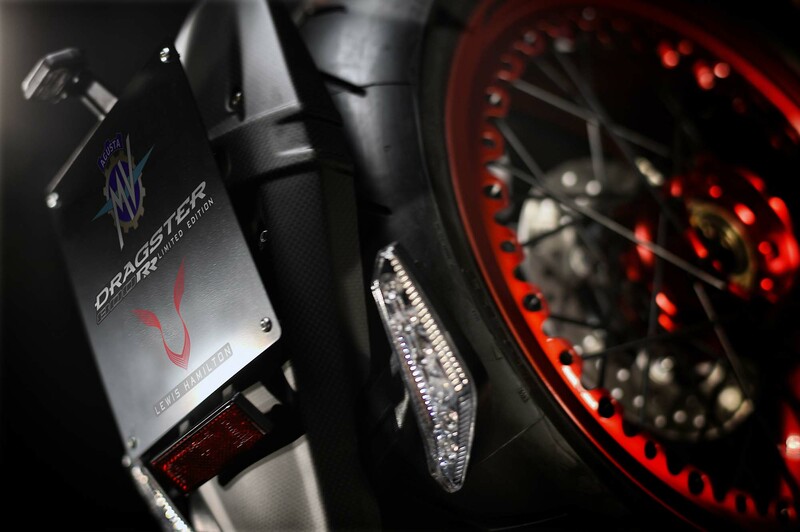 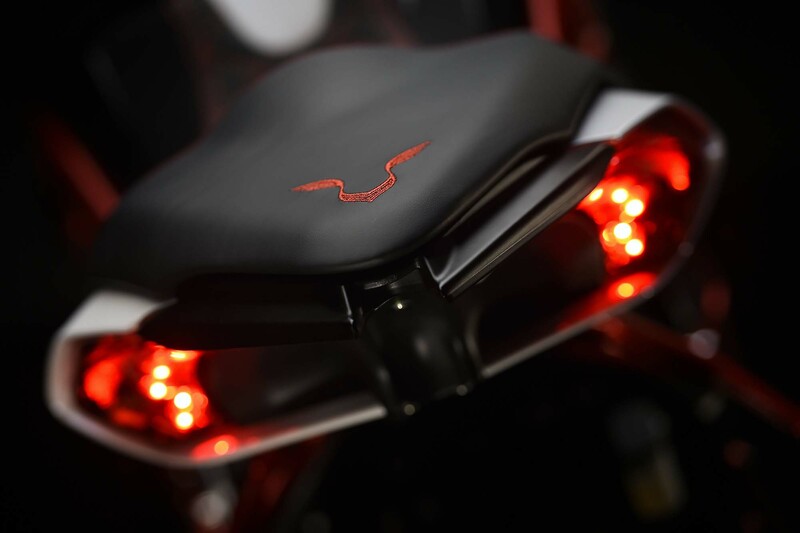 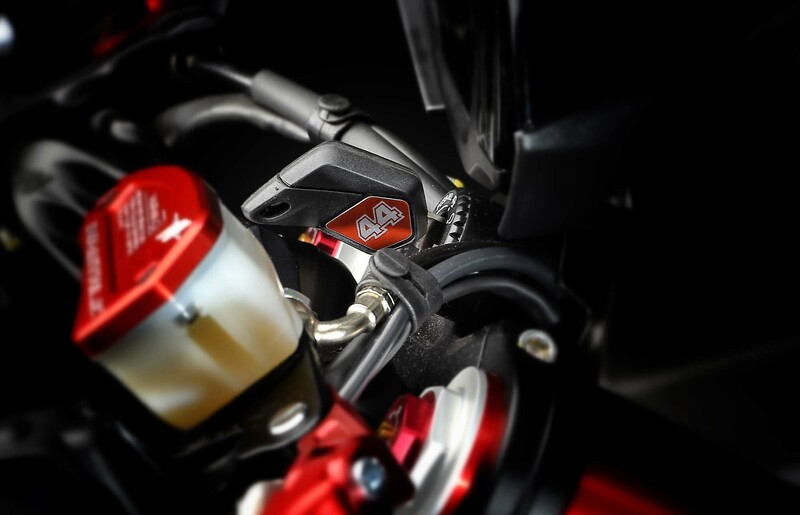 In addition to the 2016 MV Agusta Brutale 800, the other big new model release from the Varese brand is the MV Agusta Dragster RR Lewis Hamilton, a bike that pays homage to the reigning Formula 1 World Champion. 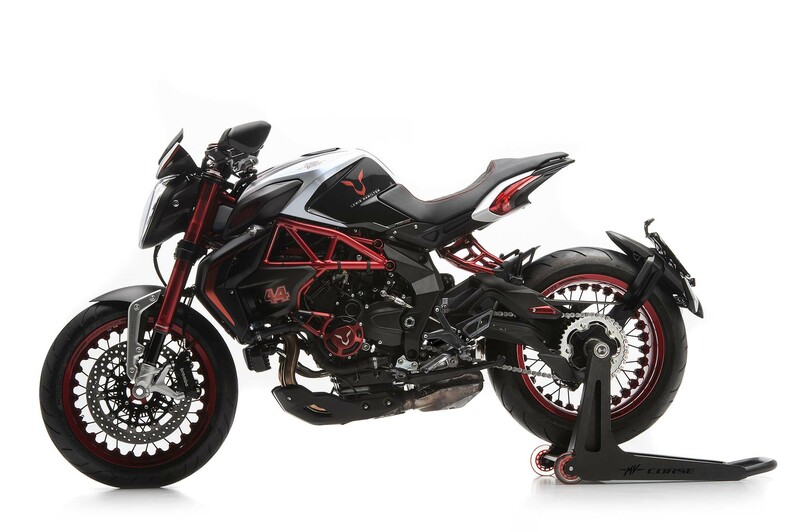 The concept is pretty simple, take MV Agusta’s already attractive Dragster RR model, and let Mr. LH44 go wild on it. 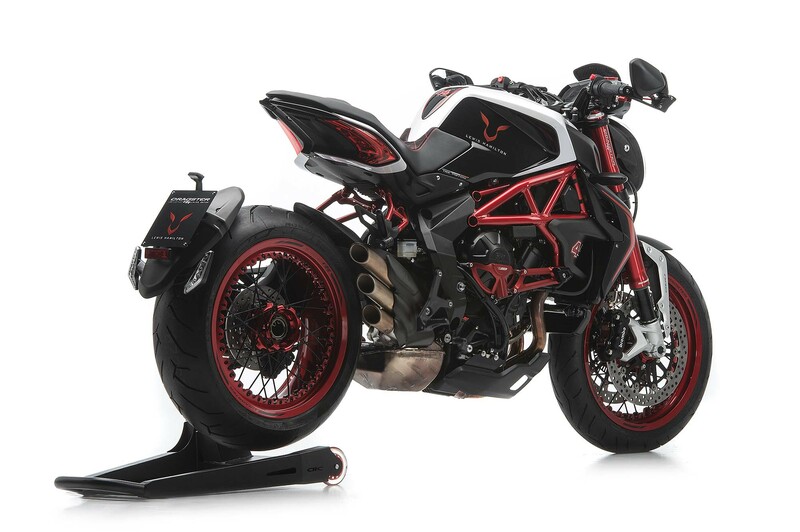 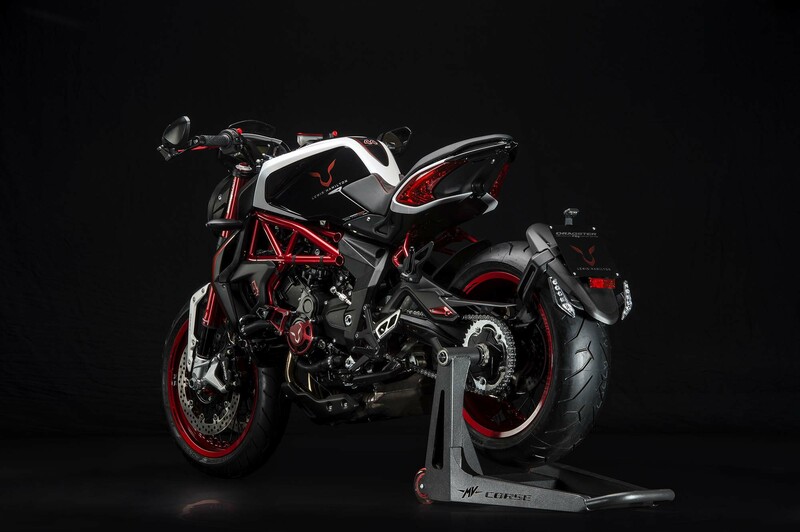 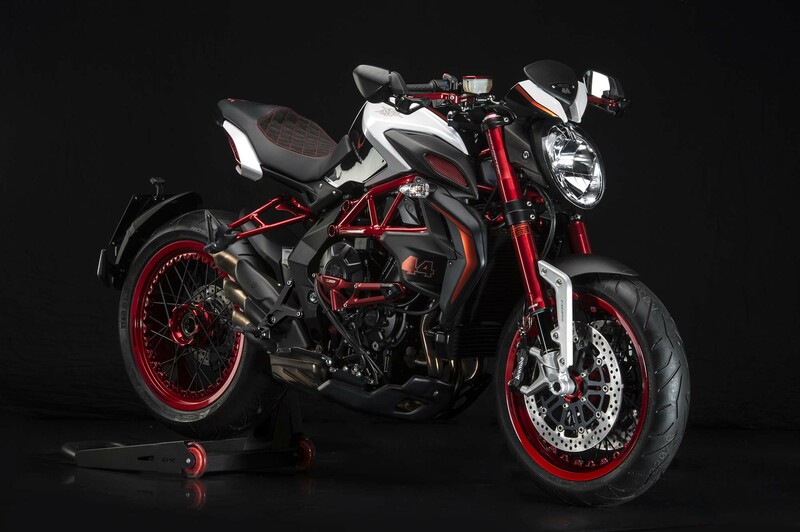 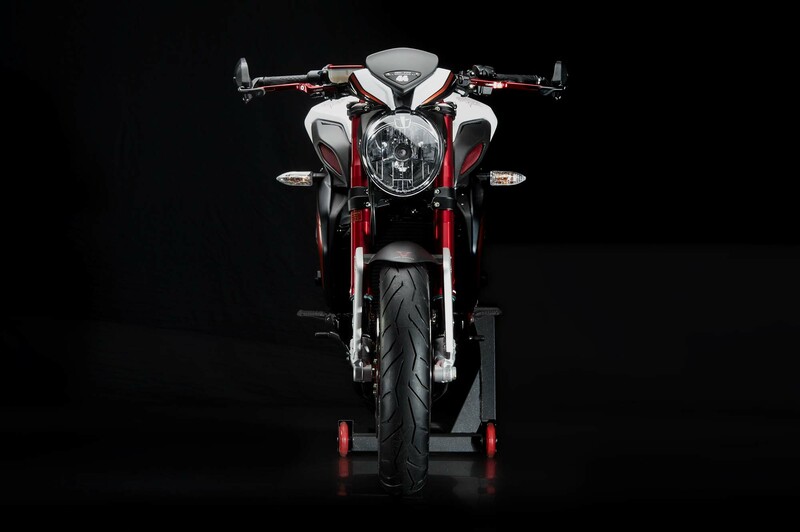 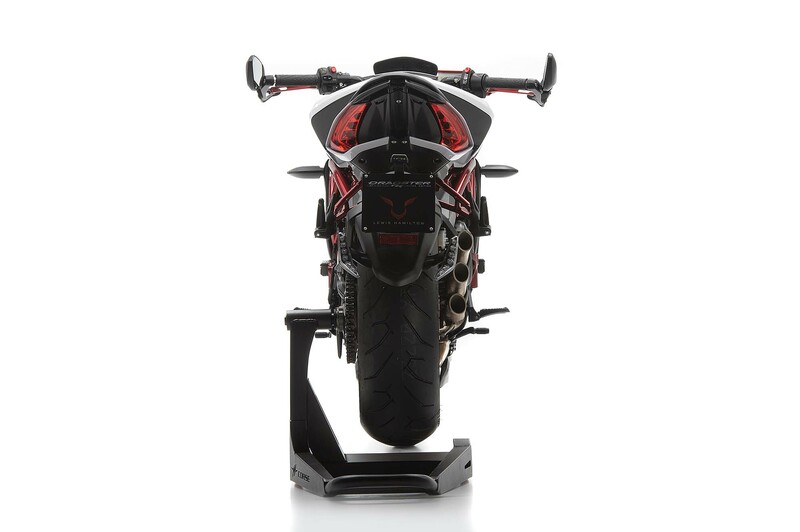 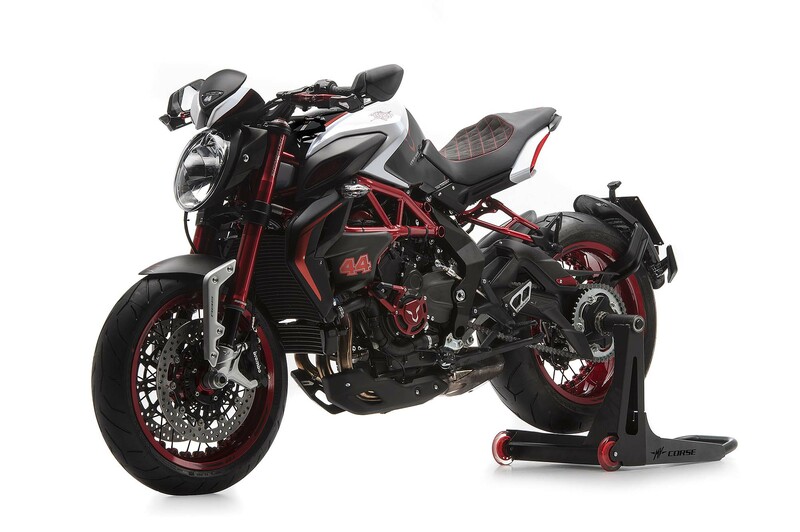 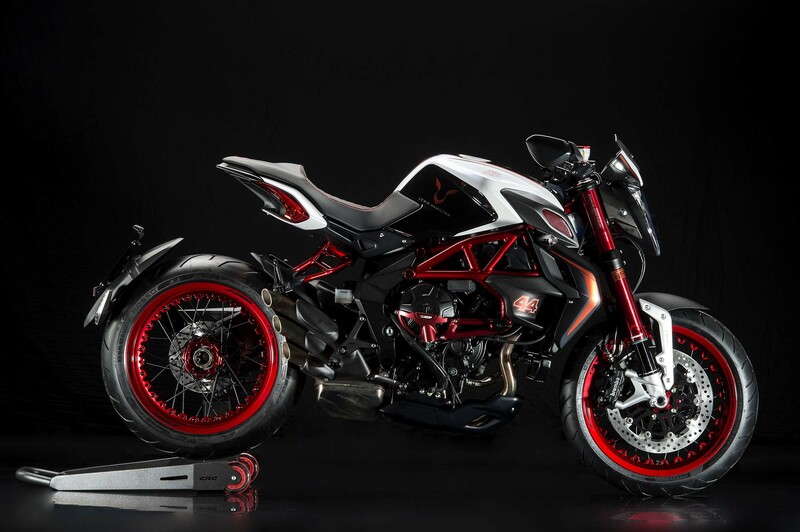 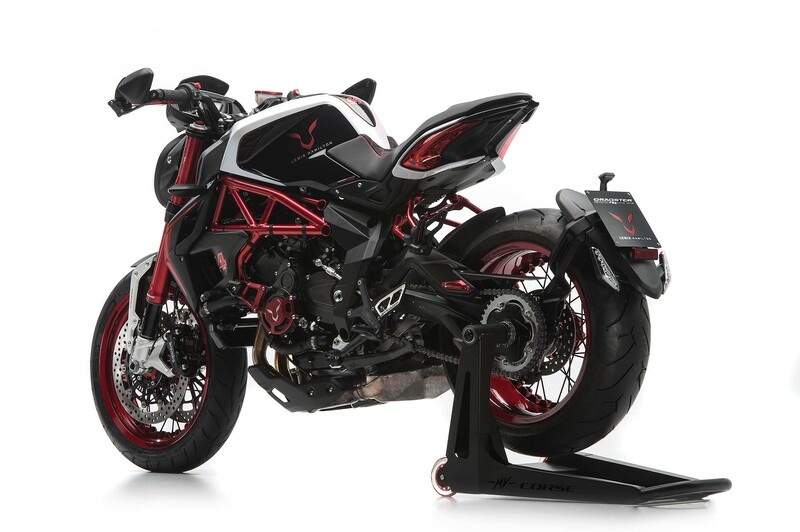 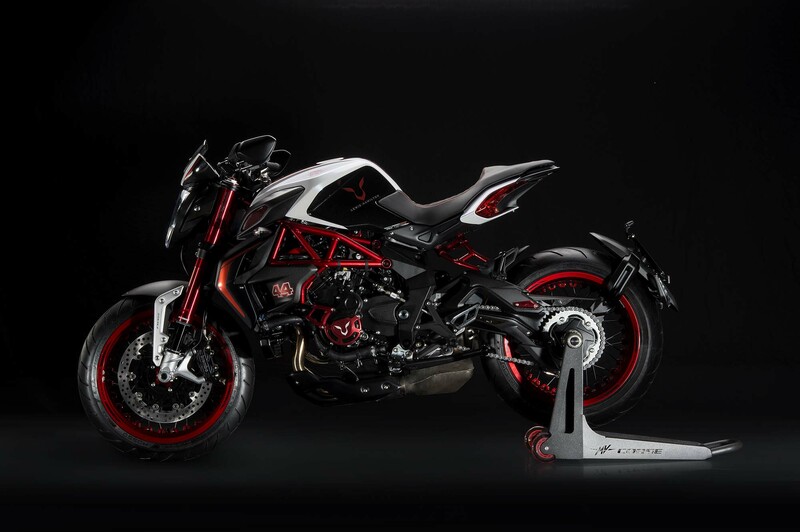 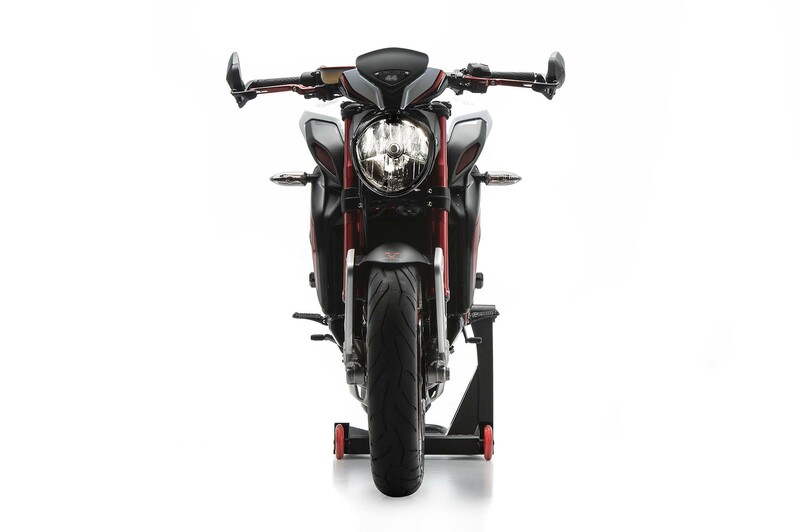 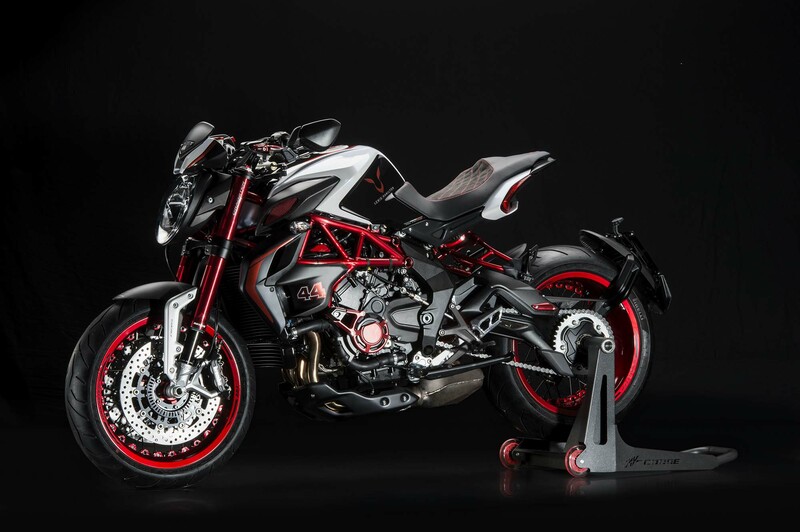 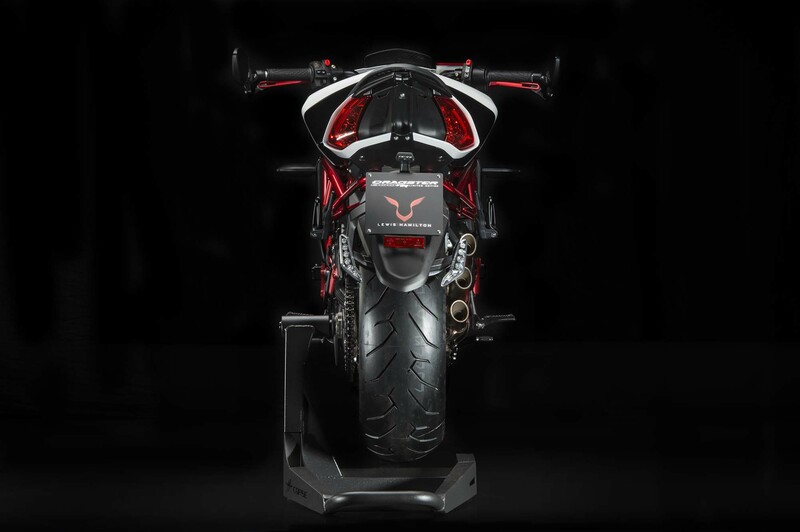 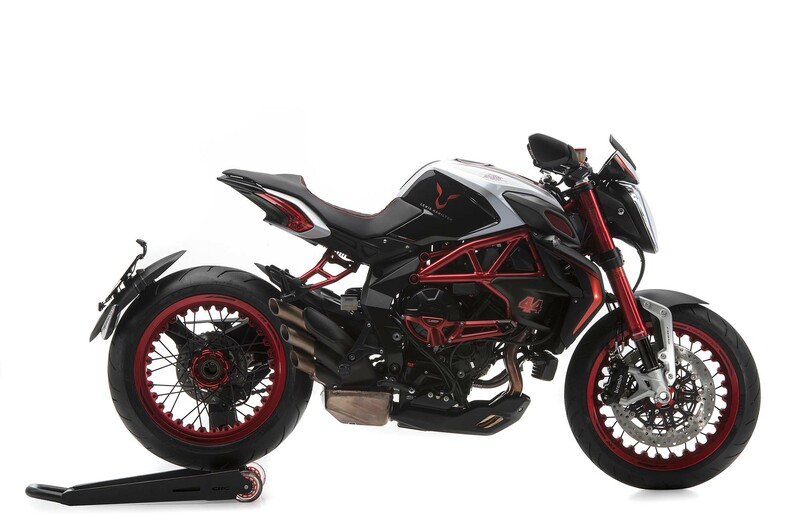 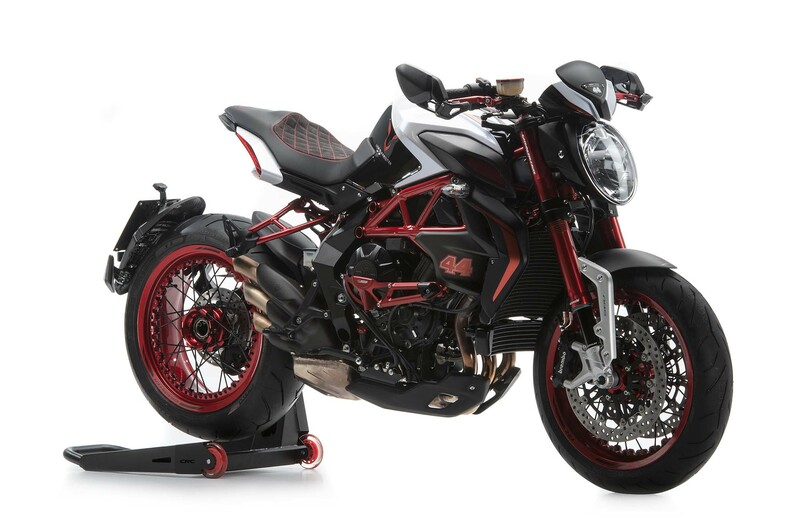 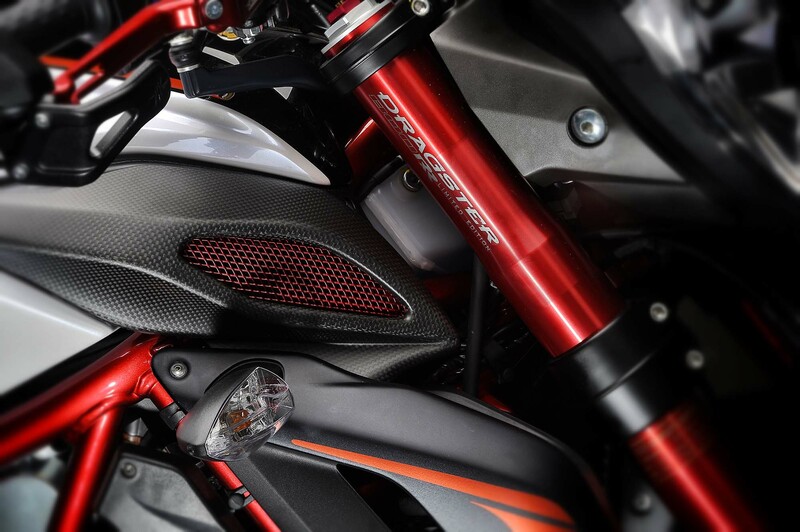 The idea is to create another collectable MV Agusta model, so things stay pretty much the same for the Dragster RR’s 140hp motor and steel trellis frame. 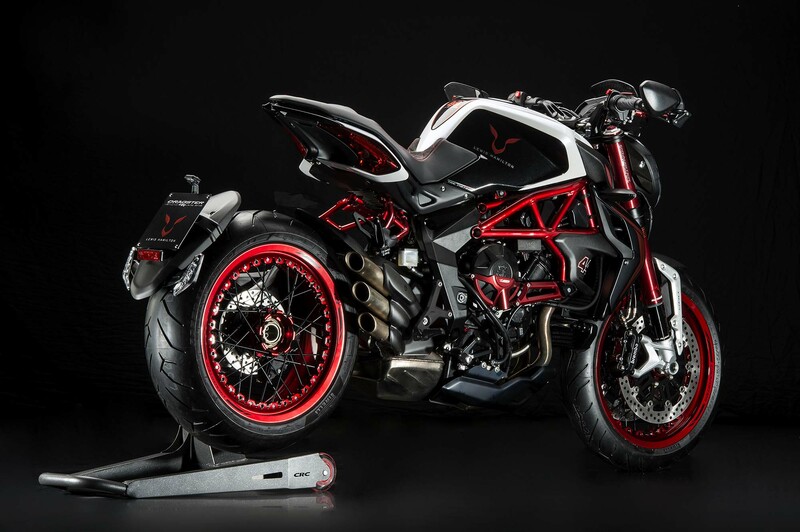 The rest of the bike though, gets a solid going-over, by Lewis Hamilton himself, if you can believe the MV Agusta press release. 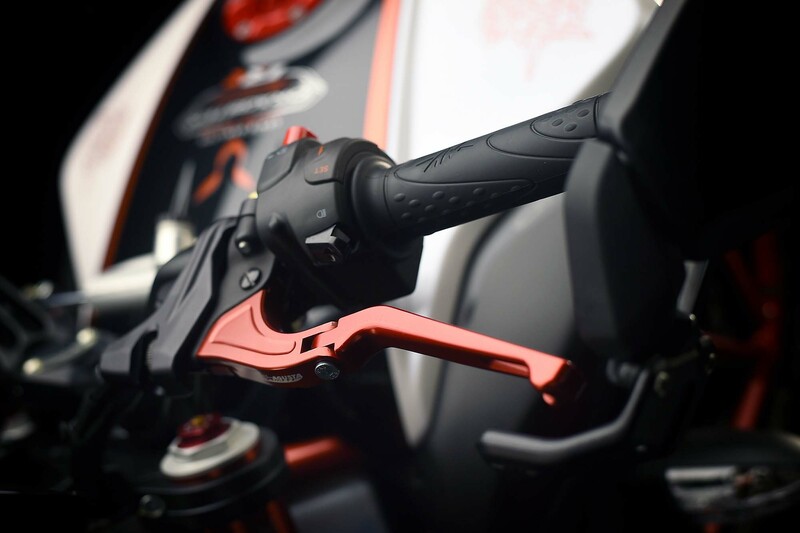 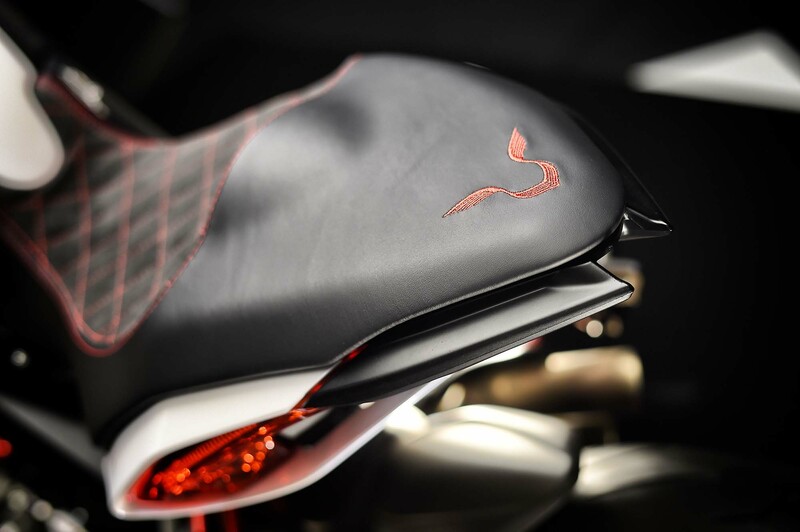 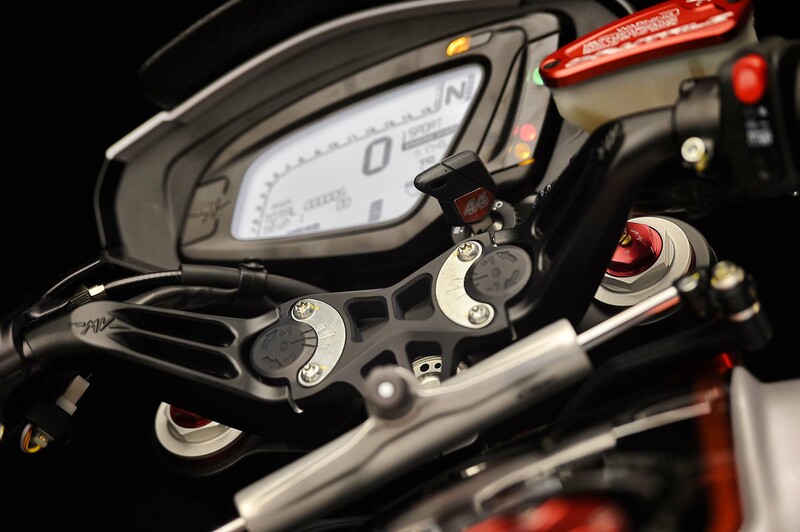 As such, Special “Ergal” aluminum parts abound, namely the brake lever, handlebars, and fuel-filler cap. 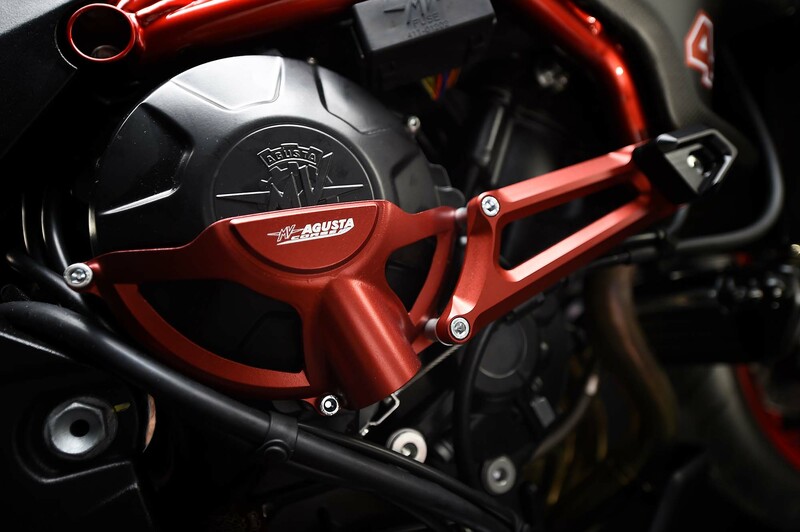 Many pieces have also been anodized red, in case you happen to be color blind and looking at the photos below. 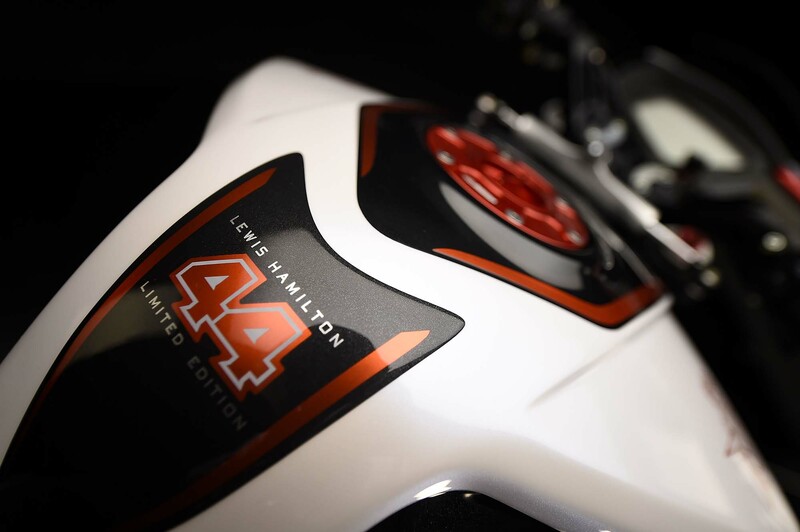 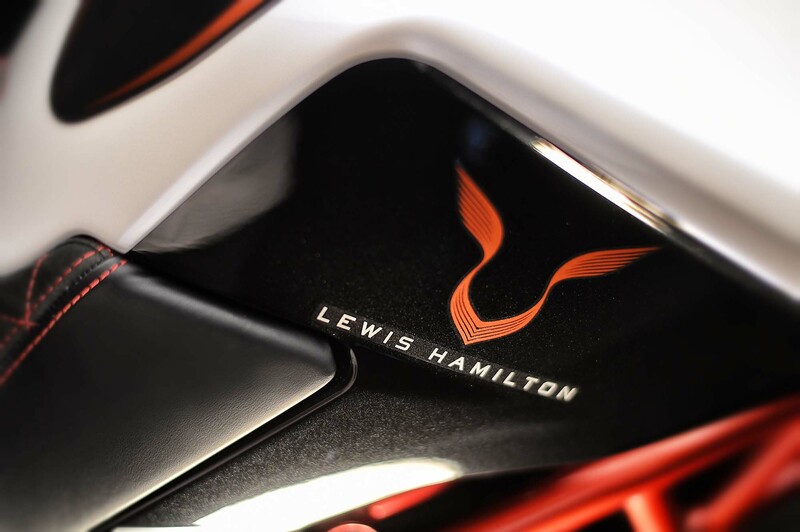 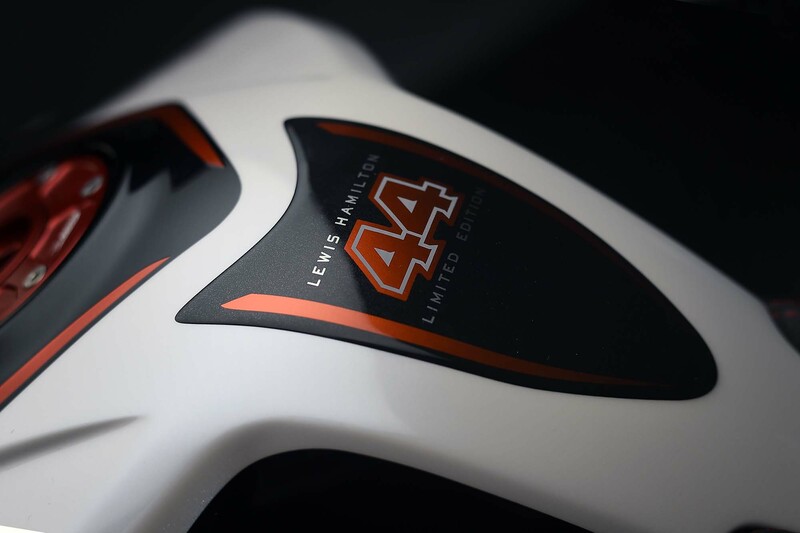 The bodywork is carbon fiber, naturally, just like Hamilton’s F1 race car, which wears the number 44 – in case you were wondering where that came from. 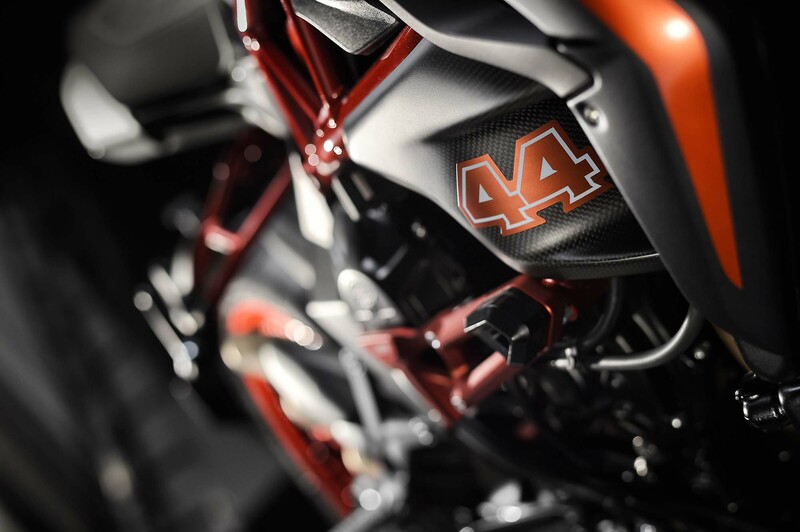 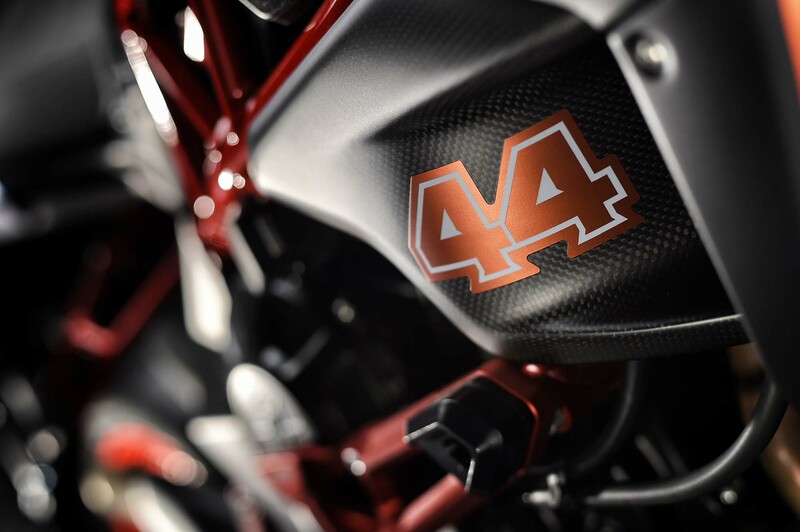 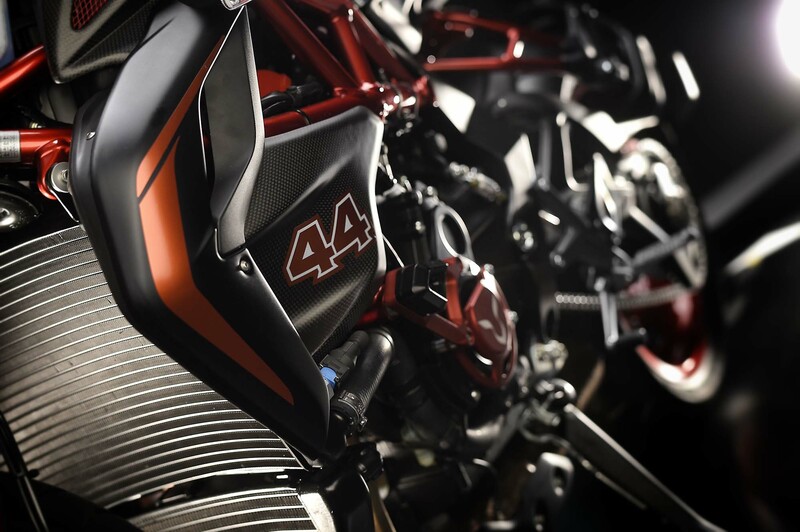 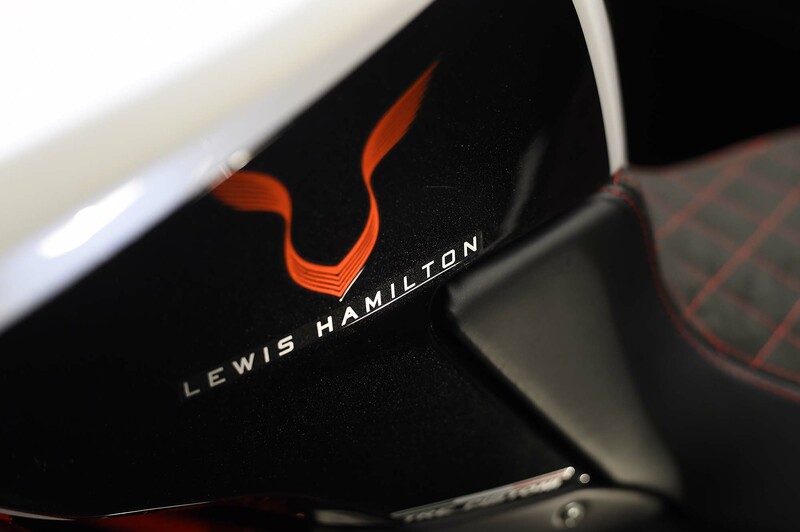 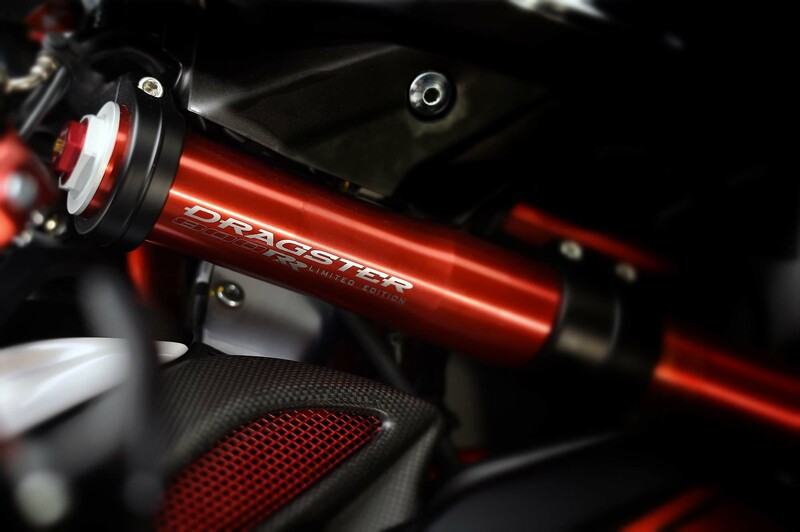 Only 244 units of the MV Agusta Dragster RR Lewis Hamilton “LH44” will be produced, and while we don’t have pricing yet, we don’t imagine owning one will be cheap.